Headed somewhere? Not without this cropped, textured zip-up with contrast racing stripes. 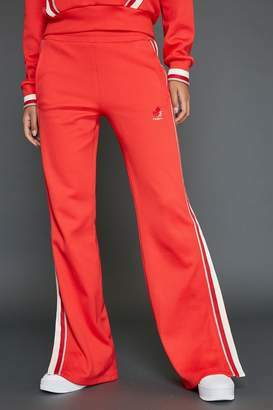 The shrunken fit, standing collar, and wide bottom band make it one-half of the vintage-inspired track suit you've been looking for. Model is 5'9" and wearing a size small.